A couple of days ago I wrote a thumbs-up review of an old book, Angels' Visits: An Inquiry into the Mysteries of Zinfandel. Written by David Darlington and published by Holt in 1991, it was republished by Da Capo Press ten years later in paperback (with a few updates) as Zin: The History And Mystery Of Zinfandel. I'd like to give away my copy of the original Holt hardback edition to someone who loves Zinfandel or, failing that, just likes reading about wine. The book lacks its jacket, but otherwise is in excellent condition. To win it, just write a paragraph or so about why you'd like to read a book that's all about Zinfandel and send it along to me (address below). I'll mail the book to whoever makes the most winning case (or makes the most sense) for what's generally acknowledged by experts to be America's own varietal. I may publish some of the responses in an an upcoming post. Send your Zin thoughts to: editor (at) culinarygadabout (dot) com. 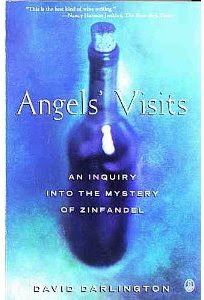 At a $1 library sale recently, a friend came across a book he thought I might like, Angels’ Visits: An Inquiry into the Mystery of Zinfandel (by David Darlington; Henry Holt 1991). I was a bit puzzled when it arrived in the mail. I like Zinfandel—quite a lot, actually—but I didn’t see how its mysteries, whatever they might be, could sustain an entire book. And once again: was I ever wrong! Angels Visits is hung on a loose framework of Darlington’s experiences when he delved into research about all things Zinfandel, from the grape’s possible origins to its most celebrated winemakers (many of whom he interviews and hangs with). But the book is about so much more than that, and not all of it is wine-related. It’s about people who take risks or seize the main chance—or both. It’s about the passions that drive us to perfection. It delves into ancient history, tracing wine’s path from the crudely-fermented grape juice of millennia ago to the pricey nectars of our own time. There’s a whole chapter analyzing the philosophical differences between being a Dionysian or Apollonian wine stylist. 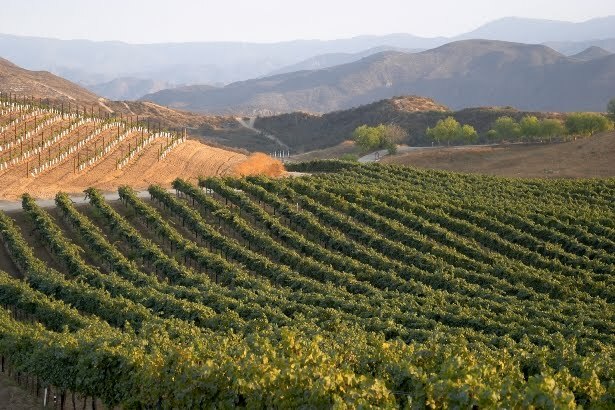 I was particularly fascinated by the writings about Count Agoston Haraszthy, the oft-called “Father of the California wine industry,” who most likely brought the first Zinfandel grapes to California and planted them. But by far the most important parts of this book deal with the winemakers, each with his own (and all the winemakers in this book are men) particular brand of obsession. Darlington saw most of these men many times, and he captures them warts and all. He pays closest attention and gives most space to Zin-maven Joel Peterson of Ravenswood Winery and Paul Draper of Ridge Vineyards (Ridge’s first winemaker, Dave Bennion, also gets a good bit of space). Darlington focused on them because both were (and still are) producing award-winning Zins with opposing styles: big and brash and gorgeous on Peterson’s side, austere and elegant on the part of Draper. We see both men out in the vineyards, kicking back over a good meal, interacting with their staffs. We learn a lot about how they make wine. It was the ‘84 Ridge Geyserville, a wine that I, having been unmoved by recent Ridge offerings, anticipated without much in the way of expectation. Therefore imagine my surprise when I poured a small amount into a glass, swirled, sniffed, and was riveted by a rich, briary nose brimming with black cherries, roasted chocolate, and toasty oak. Immediately upon sipping the wine, I recognized what was meant by the “rich claret” style I’d heard so much about. The wine was full but not overpowering, sensuous but not too fleshy, oaky but not overly tannic. Its complexities were held together in perfect balance—so perfect, in fact, that balance itself was the wine’s major hallmark. It was Zinfandel, to be sure, but its main distinction lay in the fact that it was also something greater. I liked this book so much that I want to pass it on to a Zinfandel lover. Tomorrow I’ll tell you how you can win my copy, so stay tuned! Oh, and Zin's mysteries? There are so many! But here's one: nobody really knows for sure how and when the Zinfandel grape arrived in California. 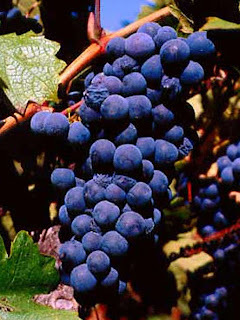 But no matter when it got here, there is no denying that it is now, in the eyes of the entire world, California's grape. Over the last couple of months I kept encountering mentions of Dr. Ann Noble’s invention, the Wine Aroma Wheel, in my readings about wine. First time was in a 2007 book of profiles about women in the wine industry, Women of the Vine: Inside the World of Women Who Make, Taste, and Enjoy Wine, in which Noble was the subject of an entire chapter. 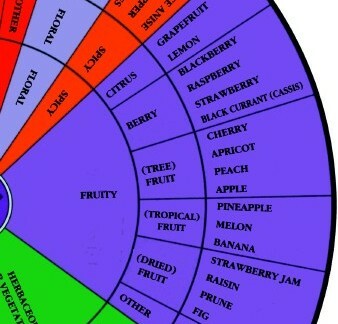 Then I came across a discussion of the Aroma Wheel in the recent highly-readable biography of Robert M. Parker, The Emperor of Wine: The Rise of Robert M. Parker, Jr., and the Reign of American Taste. And then someone whose knowledge of wine I respect spoke enthusiastically about the Wheel. The universe seemed to be telling me something, so I embarked on a little research. I liked what I read, so I purchased the Wheel last week (it's only $6 plus a non-scalping 75¢ shipping). I've been having a lot of fun with it ever since. 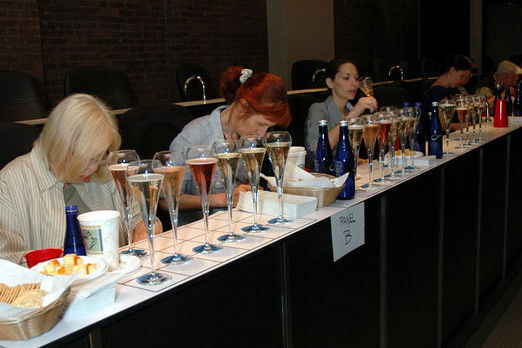 It's a really useful wine tool, not least because it helps reinforce use of the "proper" terms involved in wine tasting. According to Wikipedia, Ann Noble received a Ph.D. in Food Science from the University of Massachusetts. She worked as a sensory chemist for the UC Davis Department of Viticulture and Enology, where she discovered that no objective framework and no agreed-upon terminology existed for wine aromas. Her research led to the development of the Aroma Wheel, which provides a visual graphic of 12 basic aroma categories and components that tasters encounter in wine (e.g., Earthy, Woody, Spicy). These 12 categories are then sub-divided into different aromas each can contain, and then subdivided again. For example, the Fruity category is subdivided into six sub-categories (including Tropical Fruit, which is then subdivided into four entries: Lychee, Pineapple, Melon, and Banana). It sounds complicated, but the Wheel is easy to use. It provides a great way for people new to wine to learn the lingo as well as to train themselves to understand the aromas they encounter. And for those of us who have more experience with tasting, the Wheel helps to sharpen aroma detection skills. Also, by reminding you of aromas that might be in the glass you're tasting, aromas you might be ignoring, the Wheel can help kick you out of any "aroma rut" you might have fallen into. To learn more about or to purchase the Wheel, visit the official Wine Aroma Wheel website. The periodic Gadabout Roundup compiles interesting news from a variety of sources--press releases, industry associations, websites, and more--on the subjects of food, wine, spirits and/or travel. 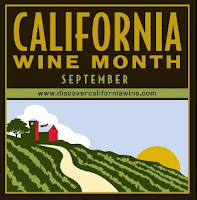 California Wine Month in Temecula: September is “California Wine Month,” a good time to get out and explore some of the state’s notable wine regions. 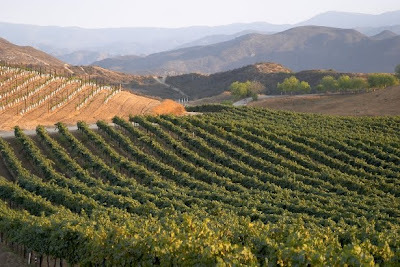 Temecula Valley is offering visitors a few budget-friendly options at that time. The $40 Sip Passport allows savings of up to $30, giving passport holders a full tasting flight at any of 5 participating wineries. The Sip & Stay package provides 2 Sip Passports, a Deluxe Villa night at the South Coast Winery Resort & Spa (including a bottle of wine and two free tasting flights at the winery), and more. 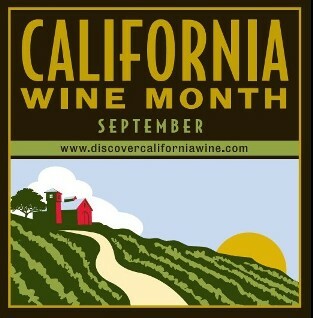 For more info, visit the Temecula Valley Winegrowers Association. 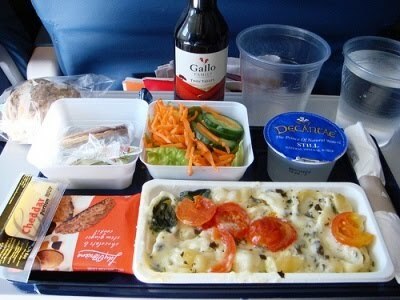 Airline Food Kitchens Cited for Unsanitary Conditions: USA Today reports that “many meals served to passengers on major airlines are prepared in unsanitary and unsafe conditions that could lead to illness.” According to documents examined by the newspaper, FDA inspectors have cited three airline caterers—LSG Sky Chefs, Gate Gourmet, and Flying Food Group—for numerous health and sanitation inspections in the last two years. Among conditions addressed in the citations are lack of cleanliness in storage facilities and problems with worker hygiene. Between them, the three caterers operate 91 kitchens providing more than 100 million airline meals annually to U.S. and foreign airlines at U.S. airports, including giants such as Delta, American, United, and Continental. You can read the entire story, including some rather unsavory details, here. Cork Recyling Update: A while back I wrote a post about how to recycle wine corks, and now it's time for a small update. I received a press release informing me that, in Las Vegas, the spiffy Double Helix Wine Bar at The Palazzo has teamed up with ReCORK, a Napa non-profit that collects wine corks and recycles them in footwear production. I imagine that a popular place like the Double Helix pulls a lot of corks in the course of a night, so that's great environmental news. Since I'd never heard of ReCORK, though, I did a little sleuthing. ReCORK is sponsored by Amorim, a Portuguese cork wine closures and SOLE, a leading manufacturer of shoes. Their goal: to recycle natural corks. SOLE has developed a cork blend that replaces some petroleum-based material with this natural cork. You can learn all about it, as well as determine how to recycle corks in your geographic area, by visiting the ReCORK site. July 4 is Grill-a-Burger Day! What could be more American than a hamburger? While chopped beef patties had been known in Europe for years, it wasn't until the late 1800s—in the USA—that someone came up with the idea of slipping a beef patty between a bun and adding a topping or two. 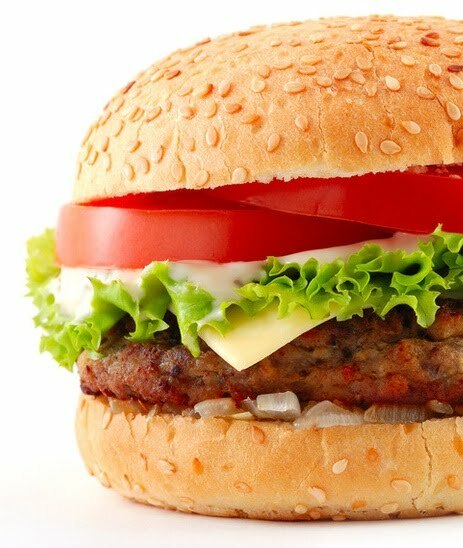 Over the years burgers have become one of the country's favorite foods. It's a sure bet that, on the average Fourth of July, millions of hamburgers are tossed onto backyard grills across the nation. These days, of course, just about anything can be grilled and transformed into a burger: veggies, fish steaks or filets, and a wide variety of ground meats (including turkey, lamb, pork, beef, and probably others I'm forgetting). To get some great burger ideas, take a look at Mark Bittman's suggestions in today's New York Times. His eight burger recipes include Greek Salad Burgers, Asian Burgers, Philly Cheesesteak Burgers, and a blue cheese riff on the old-fashioned Beef Burger. No matter the main ingredient, though, the importance of toppings is paramount. While once the options were simple—Swiss or Cheddar? Grilled onions? Mayo on the side?—today's only limitation to what constitutes a burger topping is imagination. So I'm happy to tell you about the best roundup of burger toppings I've seen yet, which appeared in the July 1 Pittsburgh Post-Gazette. In a topping tour de force, Gretchen McKay not only lists 26 burger toppings (alphabetically, from A to Z), she gives recipes for all of them! Most of them sound luscious, too, like "S" (Sun-dried Tomato Chimichurri), "F" (Fennel and Jicama Slaw), and "Z" (Zesty Chipotle-Infused BBQ Sauce). Check out the article. And no matter what you choose to eat today, have a happy Fourth of July! The folks at Ultimate Beverage Challenge are at it again. 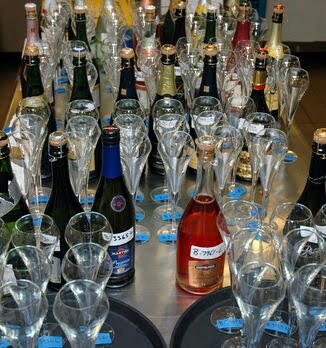 Earlier this year I wrote about the results of their Ultimate Cocktail Challenge, in which a panel of judges determined the best brands for specific cocktails. Now, with the Ultimate Wine Challenge, another judging panel (loaded with Master Sommeliers and other experts) tasted more than 500 wines and voted for the best in various categories. The Challenge took place earlier this month, and the results were released late last week. A total of 62 individual flights were evaluated over the course of the first two days. 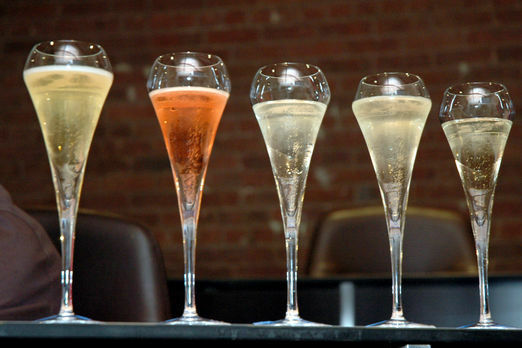 Those wines whose average scores were 90 points and above were then evaluated on the third day in an additional round of flights as finalists, with the top scorer in 23 categories awarded the coveted Chairman's Trophy. View a list of all winners in each category. This is a good thing to do, because you'll discover some real surprises and even a few relative bargains.